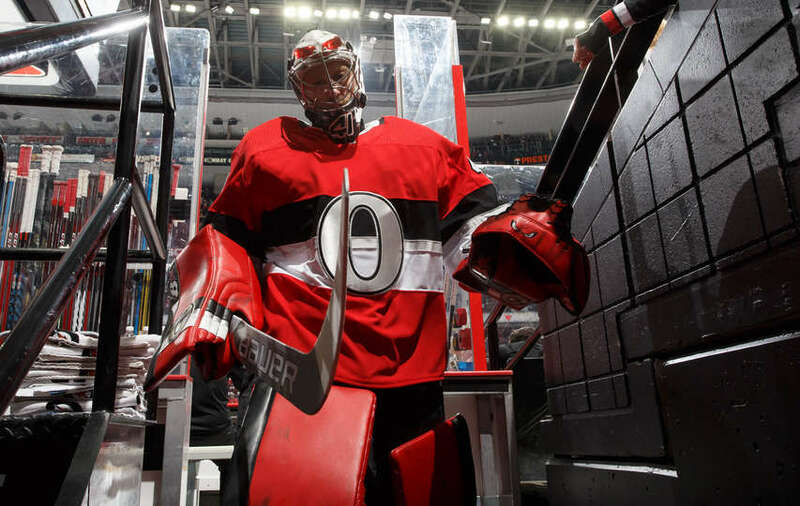 OTTAWA — The Ottawa Senators scored three consecutive goals in the third period, and Craig Anderson made 45 saves in a 6-3 win against the Tampa Bay Lightning at Canadian Tire Centre on Saturday. Ryan Dzingel scored twice, and Matt Duchene, Zack Smith, Mark Stone and Jean-Gabriel Pageau scored for the Senators (14-17-9), who have won consecutive games for the first time since Dec. 13-16. Ottawa was coming off a comeback victory against the San Jose Sharks at home on Friday, when it scored three third-period goals to tie the game 5-5, then won it seven seconds into overtime on a goal by Duchene. The Lightning, who have the NHL’s best record (29-9-3), have lost consecutive games for the second time this season (Nov. 24-25). Victor Hedman, Slater Koekkoek and Yanni Gourde scored, and Andrei Vasilevskiy made 27 saves for Tampa Bay. Stone scored his 17th of the season off a rebound to put the Senators ahead 4-3 at 10:44 of the third after the Lightning, who trailed 3-0 after the first period, had tied the game. Pageau made it 5-3 at 14:57 of the third, and Dzingel scored his second of the game and fourth in three games to make it 6-3 at 17:08. Tampa Bay captain Steven Stamkos said the Lightning are making it easy for opponents by turning the puck over. Lightning coach Jon Cooper challenged Tampa Bay’s leaders to address their defense. “I think there is a little bit of entitlement running through our team right now,” Cooper said. “What is a little discouraging is our goaltender, who in my opinion has been our MVP this year, for us to let him down like that … those goals going in at the start of the [first] period were men’s-league goals. That’s just a noncommitment to play in your own end. The Senators scored the first three goals of the game. Dzingel scored his 12th of the season to make it 1-0 at 4:48 of the first after Stone intercepted a pass by Jake Dotchin deep in the Tampa Bay zone. Duchene, with his third goal in two games, scored at 5:51 to make it 2-0. Smith deflected a pass by Karlsson at 17:04 to make it 3-0. Hedman (26 seconds into the second period), Koekkoek (1:41) and Gourde (on the power play at 15:57) scored for the Lightning to tie the game 3-3.